The guiding principle of the activities carried out over the last thirty years has been the promotion of local historical, artistic and cultural heritage through the involvement of youth. 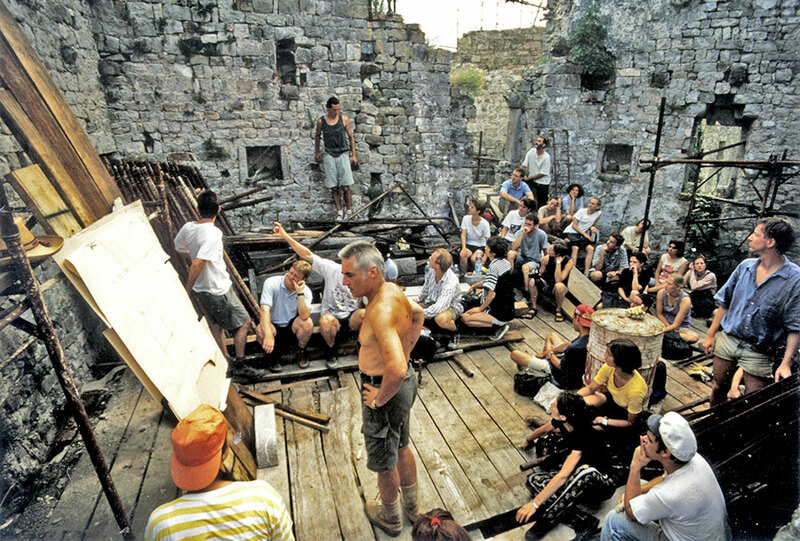 To this end, since 1983 the SEIAM project involves universities, professionals and volunteers in the research on the following fields: architectural restoration, traditional building, historical anti-seismic engineering, archaeology and restoration of archaeological finds; promoting field training of young international professionals, in an interactive and multidisciplinary project. SEIAM is recognized as a valid course for European faculties of architecture and archaeology that require practical training. The main feature of the course is the interdisciplinary collaboration between architects, archaeologists, restorers and specialized craftsmen in the research and preservation of historical, artistic and cultural heritage. The meeting of different disciplines, experiences and points of view makes the SEIAM a training and research project, advancing in the historical and anthropological knowledge of what was once a the political, administrative, economic, social and cultural site of Cucagna. The seminars have a strong practical aspect, where participants can follow closely the choices of a construction site and develop the dexterity linked to the different disciplines addressed. Particular importance is given to the whole process involving students in every stage: from design to architectural and functional recovery, from archaeological excavation to the crafting of structures and objects. Being a construction site, every year the program is adjusted to the progress of the work. Cucagna, abandoned for over five hundred years was submerged by vegetation. In this first period the ruins are cleared from the green. The architectural surveying works of emerging remnants started and the first plans and sections were drawn, together with the photographic documentation of the current state of the monuments. The following decades were dedicated mainly to the historical and architectural research and the study of ancient manufacturing technologies aimed at securing the ruins, to the processing of consolidation projects and to the partial reconstruction of the known parts of the building. Once averted the danger of collapse of the wall remains, the Institute has promoted a multi-year archaeological research project in collaboration with the Humboldt University of Berlin, and the Albert-Ludwigs-Universität Freiburg i.B., linking scientific and teaching training. In this period are brought to light the foundations and the original flooring layers, is designed the hydraulic and sewerage system, are expressed assumptions on the use of the individual rooms and the surrounding areas. The results of archaeological research are published in international journals. 13 educational excavations, with ministerial concession, on an annual basis have allowed the systematic investigation and recovery of the material culture of the core of the castle and of most of the peripheral areas, destined to productive activities and crafts. In particular, the archaeological research of recent years has focused on the characteristics of the livelihood and the medieval castle and its inclusion in a wider, commercial, historic and political context. In 2014 began a new phase of research and experimentation with the Workshops of Cucagna Castle which study productive activities and crafts that allowed the livelihood of the community that revolved around the castle.